Board approves construction plans at Falls Creek, hears of historic gifts. 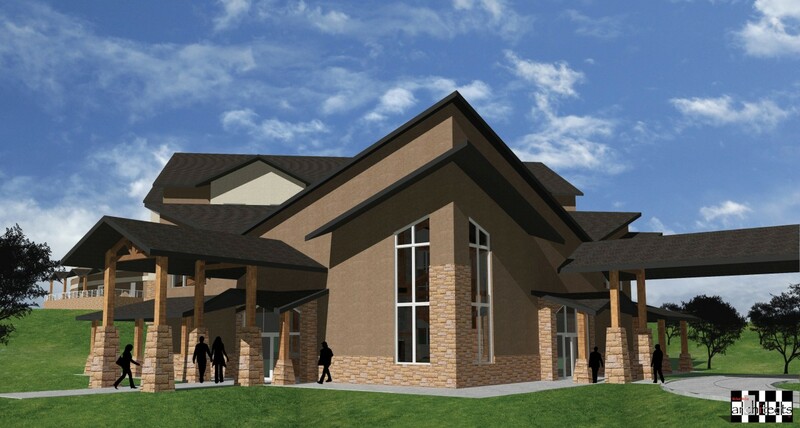 On Tues., Feb. 25, the Baptist General Convention of Oklahoma’s (BGCO) Board of Directors met and approved construction plans for Falls Creek Conference Centers and received news that significant portions of the funds needed to complete the projects have been given or pledged. 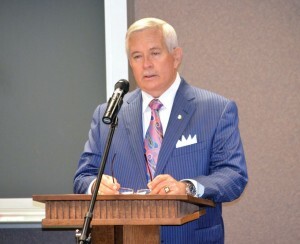 Jordan announced to the board three major gifts, including a $2.3 million matching gift from Downing and his wife, Jo. 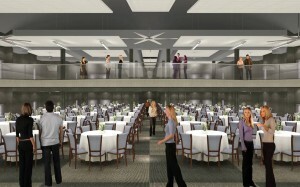 An inside concept of the Methena Event Center. In conjunction with the new construction, Jordan previewed plans for a capital campaign to coincide with the upcoming 100th anniversary of Falls Creek in 2017. According to Jordan, of the $12.96 million needed to build the Mathena Family Event Center, the Thompson Family 50-room Lodge and the Jordan Welcome Center, $10.72 million already has been pledged or given. That means approximately $2.24 million is yet to be raised. Combined with the $2,522,142 remaining debt on the construction of the Tabernacle, the Centennial Capital Campaign will raise $4,762,142, plus a challenge to raise funds to make other needed improvements. 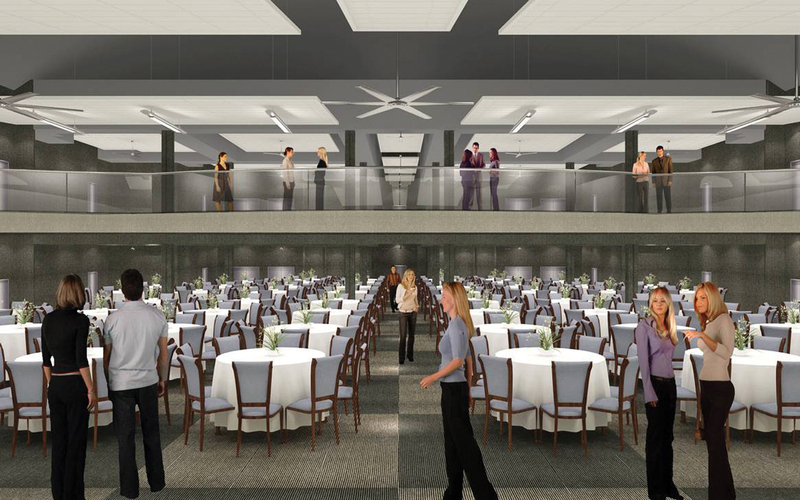 An outside concept of the Methena Event Center. At the meeting, the board received news that Greg and Susan Kannady were pledging $500,000 toward remodeling the existing Falls Creek Lodge One. 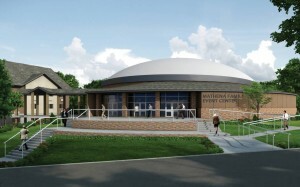 Harold and Patricia Mathena, who previously gave an astounding $7 million toward the building of an events center, now generously pledged $430,000 of additional funds toward the events center. “I have run out of adjectives to describe the ways God is blessing Oklahoma Baptists,” said Jordan. The Board joined in singing the Doxology in unison after receiving news of all of the gifts. In addition to new projects, Jordan gave the board an extensive update on the current waste water and water treatment plants at Falls Creek. The water treatment plant project was successfully completed last year. The new waste water treament facility will be completed within 60 days. Both projects have been accomplished on schedule and budget. During the plenary session of the board, BGCO affiliate presidents, David Whitlock of Oklahoma Baptist University (OBU), Tony Kennedy of Oklahoma Baptist Homes for Children (OBHC), Robert Kellogg of the Baptist Foundation of Oklahoma (BFO) and Bill Pierce of Baptist Village Communities (BVC), each gave a report of the positive developments within their ministries. Reports were also heard from the various sub-committees of the Board, including the Church & Family Equipping Team, the Church Outreach Team, the Communications Team and the Finance Team. The Finance Committee presented a recommendation “that the 2015 Cooperative Program objective be $26,750,000,” which represents an increase of $250,000 over the 2014 Cooperative Program financial plan/budget. That motion was approved. Gene Downing presents a motion, as chairman of the Falls Creek building committee, to the BGCO Board of Directors. The Executive Committee confirmed the committee appointments of the BGCO Board established by the officers of the Convention. BGCO Convention officers consist of President, Nick Garland, pastor of Broken Arrow, First; First Vice President, Andy Taylor, pastor of Ponca City, First; Second Vice President, Will Wilson, Jr., pastor of Tecumseh, New Hope; and Recording Secretary, Pat Wagstaff of Maysville. The Board also received an update the BGCO was continuing “good faith efforts with the University of Oklahoma” to sell its present BCM (Baptist Student Union) property, which has not fully been available for use since 2006, to the University and obtain access and building rights for a more strategic location on the OU campus. Finally the board approved “that the resolution for OBHC to purchase property located at 7290 Cherokee Plaza, Oklahoma City, for a support center to include office space for” its staff, conferences, training and storage. An architectural side view of future Falls Creek buildings. 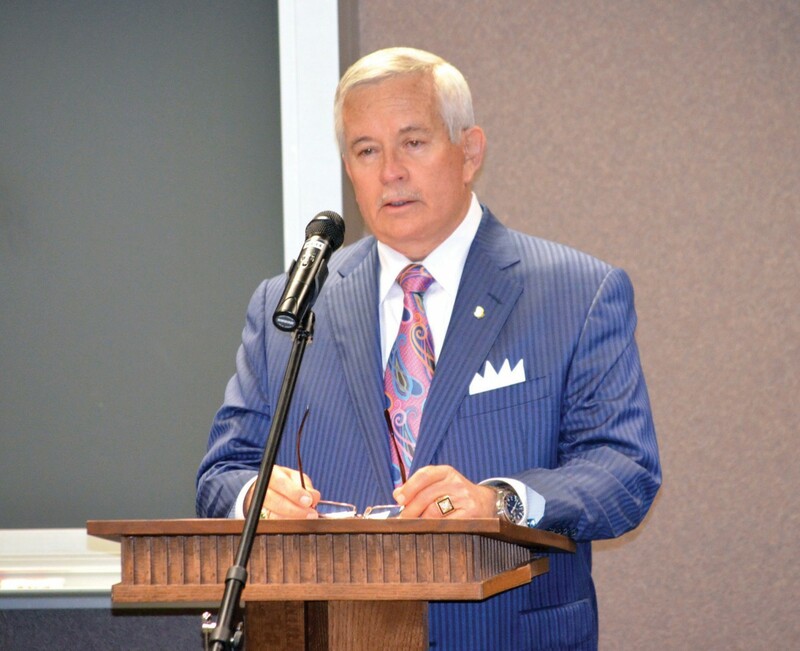 Whether discussing the major gifts toward Falls Creek, continued projects related to disaster relief and the recovery since the May tornado, the building momentum for the ReConnect Sunday School initiative, or opportunities for Oklahoma Baptists to get personally involved in praying and giving toward the Centennial Falls Creek capital campaign, the February 2014 meeting of the BGCO Board struck a positive, unified tone.